Mary Slee’s teaching career began in rural Australia where she taught in public schools as a music teacher, an arts consultant and Head of Junior Music at Melbourne Girls Grammar. After moving to America, she was committed to teaching in independent schools. She feels very lucky to be the librarian and the former music teacher at CCDS. Mary holds dual citizenship with loyalty to both America and Australia. 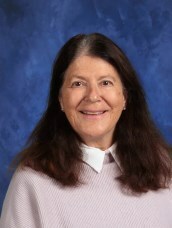 She has received the prestigious award of Who’s Who in American Teachers.